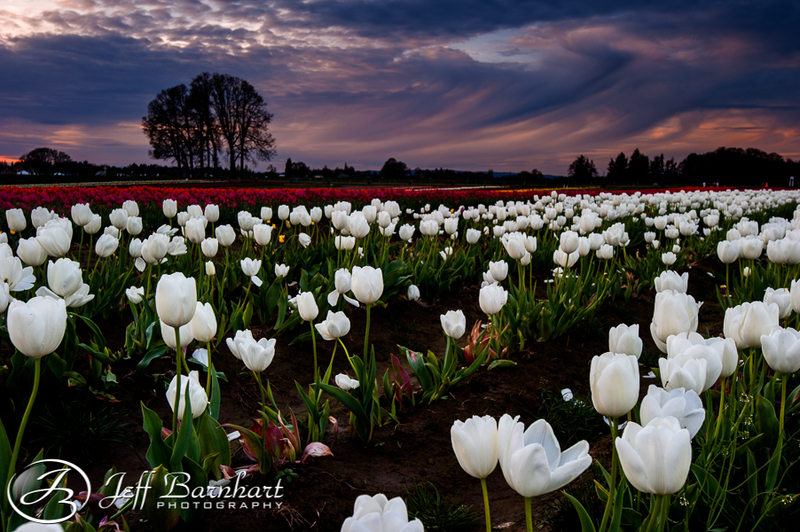 As an early spring fades into summer, I look forward to the upcoming projects on my list, but first a look back on this year’s tulip festival, and Spring! 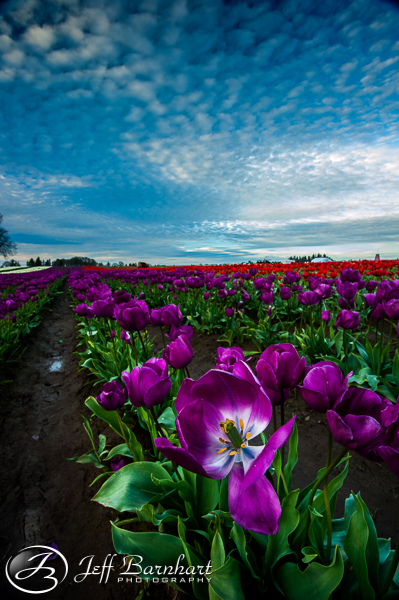 Every year the tulip festival is a great opportunity to challenge myself to see something that’s very much the same in a new way. 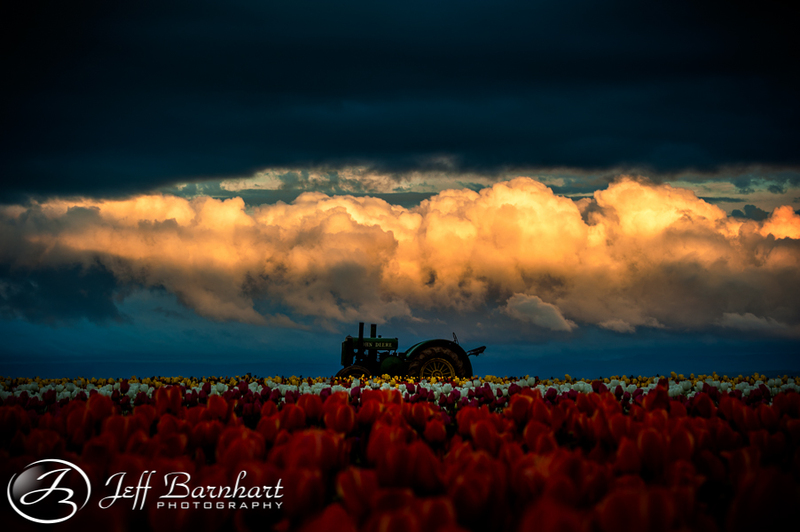 This year’s tulip crop was so early that they had to open the festival a week early, and I’m certain that this had an effect on the quantity of photographers, as it seemed there were far less than last year. Other possible factors coud be that perhaps the novelty of shooting tulips has worn off, or maybe it’s that they have a person at the entrance at 5:00 am for the second year in a row that collects the $5 entrance fee. Either way, I really wanted to get a different perspective than I had gotten before. I’ve found that I really need a wider lens to get the exact shot I want, so I still have some unfinished business here. I was also looking for colors that I hadn’t shot before, so I shot the white’s and yellows. And, of course, no tulip festival would be completed without a picture of one of the iconic landmarks of the Wooden Shoe Tulip Festival. I will be sharing more from this year in the future on Instagram. For those of you who follow me there, sorry for my absence. As stated in one of my previous blogs, I lost my cell phone, and the phone I’m using now is barely capable of handling a phone call, let alone a photo upload. I will be back soon though. I actually just found out that my new phone, which was supposed to arrive May 1st, will now arrive May 17th… I’m going with maybe on that one. 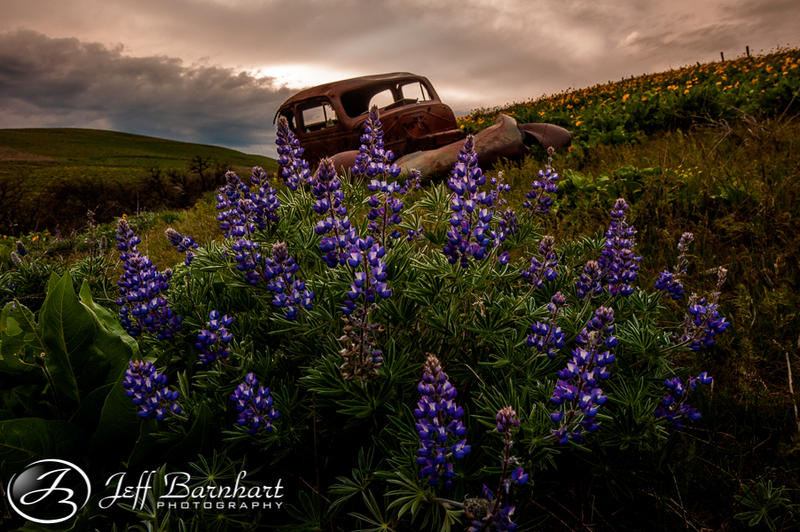 I also took a couple trips out to the gorge to catch the wild flowers. I honestly couldn’t believe how few photographers I saw out there compared to last year! Last year it was like shoulder to shoulder and please get out of my shot... this year I basically had the entire scene to myself! I only wish I was blessed with better lighting here, but it’s always beautiful. For those who are interested, my next big project will be involving time-lapse. Stay tuned.